I wish I could remember everything important, like the titles of all the books I intend to read this summer. I can recall stories galore of yesteryear, with crystal clear pictures in my head. The present often seems cloudy in comparison. Children remember everything. The tiniest detail is there beside them, for the longest time. Isabelle is a case in point. 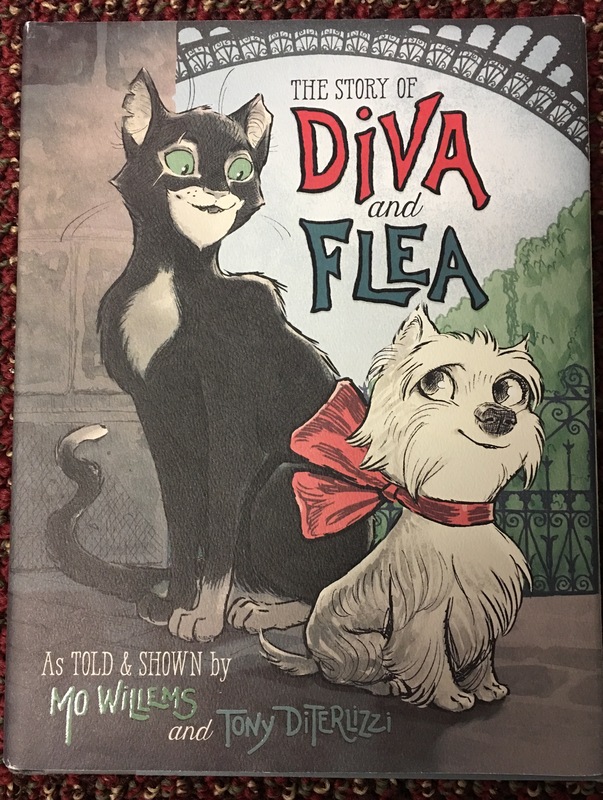 My library read-aloud group started the year reading Diva and Flea, by Mo Willems back in September. It is the story of a dog and a cat, living in Paris. Of course it is so much more, as Mo Willems weaves stories of growing, bravery, and fear throughout the book. He also paints a verbal picture of life on both sides of the tracks. Does having all the conveniences and necessities dictate a better life? Better hold on and read the book! Since the backdrop for the book is Paris, French words are among the text. Diva is a gardienne’s dog, and Flea is a flâneur. I often stopped my reading to talk about the words. That was fun! Flea did have a fixed occupation, however. He was a flâneur. A flâneur is someone (or some cat) who wanders the streets and bridges and alleys of the city just to see what there is to see. A great flâneur has seen everything… Flea was a great flâneur. The children loved the book. Adults enjoy the subtle humor of Mo Willems. Win-win all around. We continued the year reading The Wild Robot, by Peter Brown (a favorite) and The Story of Doctor Dolittle, by Hugh Lofting. By the time June rolled around, reading Diva and Flea seemed like years ago. Wow! Flâneur all around. Imagine that; written nine months after reading Diva and Flea. In the words of Mo Willems, “The biggest discoveries start with the smallest steps.” I give children many, many small steps- especially through reading aloud. They discover the world in avenues that often surprise me. It is wonderful. This entry was posted in chapter reading, Early Education, Imagination, reading, reading aloud and tagged chapter reading, children's books, Early Education, literacy, reading aloud, teaching young children. Bookmark the permalink. simply wonderful. thank you for sharing! You are welcome, Afzal. So glad you liked it! 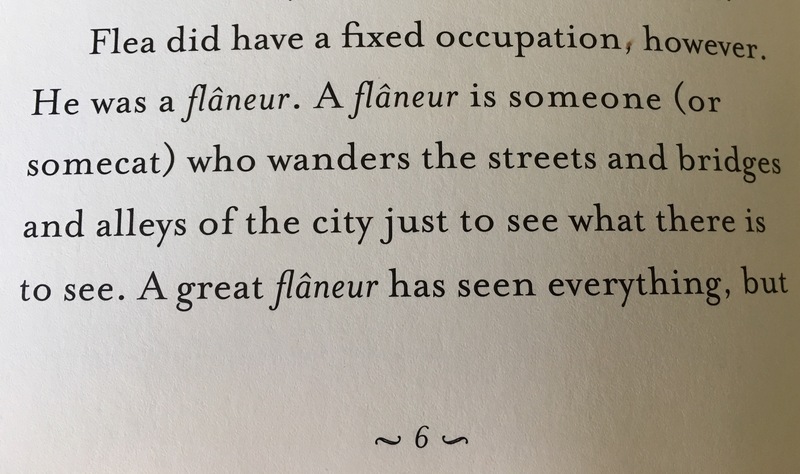 I know many adults who would struggle with the concept of a ‘flaneur’. (More than I care to mention) So, for her to use this in her reply is simply stunning. No other word is good enough. You are so right, Pete! Best to you. Great post. I would love to be my wife’s cat for a day. I would enjoy being pampered. That is so wonderful. From what you’ve shared about Isabelle previously, I’m not entirely surprised. Jennie, are you still scheduled to be honored at the state house next week? Is it open to the public? Any online information? I searched once but couldn’t find anything. I’m filling in for our library director and have extra hours next week, but if I can figure it out it would be such fun to travel south and witness your event. You can email me privately if you have any information to share. Thank you! Thanks, Marcia. Isabelle is amazing. She will be in my group again next year. I can only imagine what may happen! Yes, the big event to present our quilt at the State House is on Thursday @ 3:00 PM. I just started getting emails from the big wigs for last minute information. It is not all me, but about the children, and of course Milly the Quilter. I expect 70-80 people, mostly children and their families who were part of the quilt. I think I will bring along the classroom book we made that started the whole thing. I hope to read it aloud to the Governor. It would be wonderful to see you, Marcia!! Oh, it will happen at the Grand Staircase. Pretty cool! Hi Jennie, In case you don’t see my email, unfortunately it’s not going to work out for me to get into the city, but I’ll certainly be thinking of you and Milly and the kids. I hope to visit the quilt on display some time. Congratulations again! Many thanks, Marcia. I just replied to your email. You are the best! Great post!! I wish I had that child’s memory lol. I took 2 years of French and did not know what a ‘flaneur’ was. Wow… as you say to remember Flaneur after nine months meant that story really ignited her imagination.. wonderful. This is what happens when you pair a special student with a special teacher – it is spectacular! You’re welcome, Jennie – enjoy your weekend! Do they have help with the writing? I couldn’t even imagine writing at that age! Nor will I remember the word next week ;( To be young again. It boggles my mind, Marlene. Isabelle is in second grade. I’m not sure I could write those words when I was that age. My opinion of the secret? Reading aloud. It exposes children to the written word, and all those millions of words are in their head. That is the best foundation for learning, including writing. Words! You are right. That is exactly why your children did so well. My dream is to convince every parent and teacher the same thing. Now, that could change every child, and the domino effect would be remarkable. If I plug away, one child at a time, I can still make a difference. I love your story, Marlene. The library and moving by the pound. Thank you for sharing! You’re the best! You are very welcome. I do wish I’d had grandchildren of my own. My last husbands grandchildren called me the book grandma. They knew they were going to get books for every occasion. I think most of them read now too. The youngest stepdaughter when I got her at the beginning of 7th grade, turned out to be functionally illiterate! My daughter and I made short work of that and turned her into a reader as well as her children. I’m with you 100%. Books can change the world and if you read, you can do anything! That is the best story! “The Book Grandma”. Wow! To think of the many words and books you have given to others, like your 7th grader. You have made a difference. Just wonderful! Yes, this is the same Isabelle. She is a bright one. I wonder if remembering a French word because it was different came into play. Also, good literature makes a huge difference (as you know). Do your Grandies like Mo Willems? This book is a winner! Read it aloud. 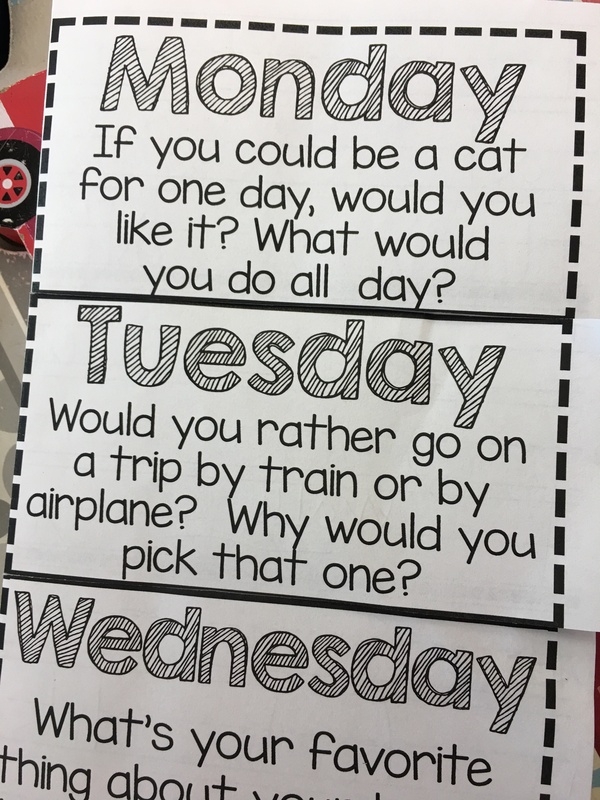 Perfect for first and second graders (and for us who can enjoy his humor). Many thanks, Robin! Yes, the unknown sticks. Definitely a great answer to the magic! Mo Willems wrote Knuffle Bunny (award winner) and the Elephant and Piggie books. Thanks for all your kind words, Robin! I was just being “me” and honestly am very impressed with your reading choices and how open you are to the children. I can tell you follow their lead a lot, while guiding them sometimes, too. It is a wonderful balance you continue in your classroom. I can tell which in turn helps them to have more confidence and security. Thanks sent back to you. The lovely chat we had was fun and special, Jennie. I loved our chat– always do! Oh, this is precious! Thanks for sharing, Jennie. You are welcome, MC. Glad you liked it! Your posts always brighten my day. This is another very special story life with your young students. Thank you so much. What will I do over your summer break?? Such a wonderful sharing, thank you….and when I enter the room to play with the 18 month old, their eyes light up as they run around the play room, locating and bringing me, all my favorite toys….toys we have played with and enjoyed, together. I watch as they do that with other people and their “favorite” toys. That is great, Ren! Thanks for sharing your story. Love those little elephants! This is wonderful, Jennie. Children are amazing, and your post once again demonstrates the importance of reading aloud from a wide variety of material to enrich their lives. Enjoy the break! How delightful, Jennie. I love Mo Willems’s books. I’m so glad the children learned new concepts through one of his books. I enjoy reading your posts so much. What a wonderful attitude you have. Your love for opening up the world to small children is truly amazing. Kudos Ms. Jennie, Kudos. Hugs. Great post. I often find that while teaching ESL to kids, it’s difficult to know just what they manage to remember then, all of a sudden, they start to introduce words mixed into their native language. Magical. Thank you, Alexander. Recently I had the pleasure of meeting the author and illustrator at a book signing event at the Eric Carle Museum. I still had the photo on my phone, so I showed it and told the story. They were thrilled!